Schedule T is used to claim, carry forward, or transfer the tuition or examination fees you paid in 2017 (or fees paid between 1997 and 2016, as long as they haven’t been claimed on a previous Québec return). To claim this tax credit, the tuition or examination fees that you paid must be at least $100 and must have been paid to a recognized academic institution. Note: As a resident of Québec, you’ll need to complete both the Schedule T and Schedule 11 to calculate the tuition amounts that you’re entitled to claim. Fortunately, both forms are combined in H&R Block's tax software and you only need to enter information from your federal tax certificate (such as the T2202A) and your Relevé 8 (RL-8) slip to claim this tax credit. If you don’t need to claim all or a portion of your tuition and examination fees for 2017 to reduce your tax payable, you can transfer any unused amounts to an eligible family member (spouse, parent, or grandparent) or carry it forward to be used in a future year. Remember, you can only transfer current year tuition and examination fees; amounts carried forward from a previous year cannot be transferred. Can I claim the tax credit if my tuition amounts were paid by another person? Yes. Even if your tuition and examination fees were paid by another person, you can still claim this tax credit. You can also transfer the tuition amounts to an eligible family member. If the tuition amounts were reimbursed by your employer (or the employer of one of your parents), you can still claim a credit related to these fees as long as the amount that was paid or reimbursed by the employer is included in your income, or the income of one of your parents. I have unused tuition or examination fees from one or more previous years. How do I know which tax credit rate will be applied on my Québec return? The year in which you paid your unused eligible tuition or examination fees is used to determine the tax credit rate that can be applied to this year’s return. If, however, the fees you paid don’t match the criteria listed above or if they were paid in 2014, 2015, or 2016, your tax credit rate will be 8%. In either case, you can refer to your 2016 Québec notice of assessment (NOA) for a detailed breakdown of these amounts. Before you begin, make sure you told us you lived in Québec on December 31, 2017. 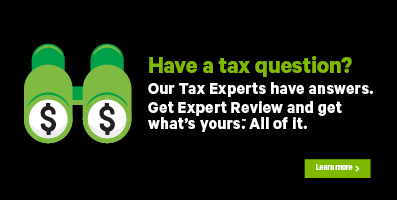 To claim the tax credit, enter information from your federal tax certificate and Relevé 8 into H&R Block’s tax software as follows. The software will automatically complete Schedule T and Schedule 11 for you. Type the name of the slip/tax certificate you received (such as RL-8, T2202A, TL11A, etc.) in the search field and either click the highlighted selection or press Enter to continue. When you arrive at the page for your slip/tax certificate, enter your information into the tax software. Under the CREDIT AMOUNTS section, click the checkbox labelled Tuition or examination fees carried forward from a previous year, then click Continue. When you arrive at the page for your Tuition or examination fees carried forward from a previous year, enter your information into the tax software. Under the WRAP-UP tab, click the OPTIMIZATION icon. On the Education transfers page, select Yes in response to the question You have tuition amounts available to transfer. Do you want to transfer these amounts to someone else?.